Q: Are you really finally releasing AMPLIFi Remote for Android users? A: Yes, it's true! You asked, we delivered. A: We released AMPLIFi Remote 2.0 on October 28th, 2014. You can check our website and follow us on twitter @line6 for the latest announcements. Q: Is AMPLIFi Remote 2.0 a free update? A: Yes. You can download AMPLIFi Remote 2.0 at no charge. Q: Are there any functional changes to the AMPLIFi Remote App on Android? A: AMPLIFi Remote has no functional differences between iOS and Android. All the same features are available. Q: Which specific Android devices will be supported when AMPLIFi Remote 2.0 is released? Q: Which Android OS versions are supported? A: AMPLIFi Remote 2.0 requires a device running Android OS version 4.2 or above, and built-in Bluetooth capability. Even if a device is not listed in the supported device list above, we encourage users to try AMPLIFi Remote on their device if it meets the minimum requirements. We will update this list as additional devices are found to have an optimal experience. Q: Why are you not qualifying earlier Android OS versions? A: The Android developer portal indicates that a majority of Android devices are on Android 4.2 or above. Customers with earlier Android OS versions should check with their carrier or device manufacturer to find out if there is an upgrade available for their device to get to Android 4.2 or above. Q: Does AMPLIFi Remote 2.0 support double-byte characters as metadata? A: Tones with double-byte character names and metadata are not currently supported for tone matching. Q: Can I use AMPLIFi Remote 2.0 on Android devices with customized UI on non-English OS, for instance Sony Xperia or Sharp Aquos? A: These devices are not specifically supported at this time, however we do feel that they would work, although will not be fully localized. Q: Is AMPLIFi Remote 2.0 compatible with Windows Phone / Tablets at this time? A: There is currently no plan to support for ARM or x86-based Windows phones/tablets. Q: Will the same app work on all AMPLIFi products? A: Yes, the AMPLIFi Remote App will work with any member of the AMPLIFi Device family. Q: Is AMPLIFi Remote 2.0 also available for iOS? A: Yes. AMPLIFi Remote 2.0 provides minor maintenance with the overall app, but mostly AMPLIFi Remote 2.0 is for Android support. Some customers with iOS devices will upgrade to AMPLIFi Remote 2.0 without any noticeable differences. Q: The AMPLIFi product box only has iOS compatible devices printed on it. Are there different versions of AMPLIFi hardware sold specifically for iOS and Android? A: No, there are not different hardware versions. Whichever AMPLIFi hardware you get will support both AMPLIFi for iOS and for Android. As long as you have the AMPLIFi Remote App 2.0 on a supported device, your AMPLIFi hardware will work. Q: What is the name of the app and where can I download it? 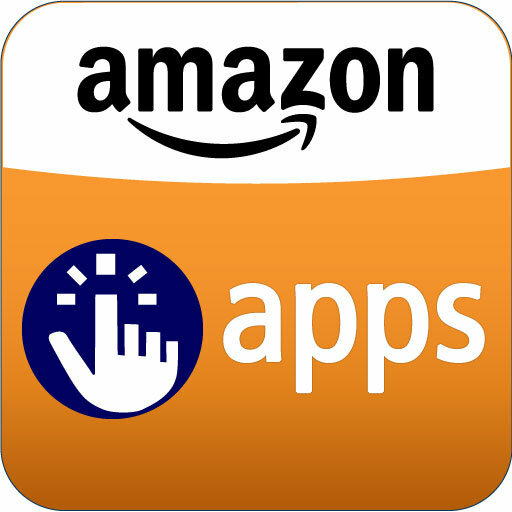 A: The app is called AMPLIFi Remote on Play Store (also referred to as Google Play Store) and the Amazon Store. Q: Do I have to update the AMPLIFi device firmware for Android to work? How can I update the firmware without an iOS device? A: Yes. A firmware update (2.0) is required. We will be providing a Windows PC-based firmware Updater called AMPLIFi Utility at www.line6.com/software, which requires a USB connection to your AMPLIFi device. When customers open the AMPLIFi Remote app on their Android device for the first time, there is a slideshow that points the customer to the Line 6 website to update their AMPLIFi hardware. Customers will download a driver and update utility and should follow the instructions to update their specific AMPLIFi hardware. Once started, running the firmware update will take between 2 - 3 minutes. iOS users will be able to update their firmware as is typically done with iOS devices via Bluetooth from the AMPLIFi Remote App. Q: If I have to upgrade the firmware, will it stop working with iOS devices or will I be able to switch between both? A: The update simply adds a new way for AMPLIFi to communicate over Bluetooth, so it will continue to work with iOS devices as well. Q: Is this the first time the USB port is being used to update AMPLIFi firmware? Q: Which music libraries are supported on Android OS? A: The AMPLIFi Remote App can access music that stored locally on the device, or on external SD card storage, that has been transferred to the device from a computer. Please use the default method provided by your device manufacturer to store music onto your Android device. 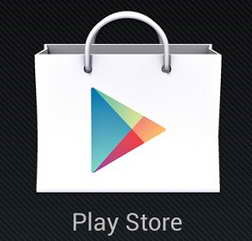 Q: What about songs I have purchased or downloaded from Google Play Store (aka Play Music)? A: In order to access music purchased from the Google Play Store (aka Play Music), we recommend that you download it to your computer and transfer it to your device. The AMPLIFi Remote App will not match the tones of music streaming from Google Play Store (Play Music). Q: What kind of audio file format does AMPLIFi Remote 2.0 support? A: .mp3, .m4a, .mp4, .acc, .3gp, .flac. Formats that use id3 tags can be used for tone matching. Q: How does the AMPLIFi Remote App match tones? OR From where does AMPLIFi Remote App match tones? A: If your music is properly tagged with Artist, Album, and Song Titles, the Line 6 servers compare and sort publicly shared tones that match that particular song. Q: Can I edit tones on my computer using AMPLIFi Remote 2.0? A: No. At this time you cannot edit tones on a computer using the AMPLIFi Remote App. Q: What connectivity is required to play back music and tone searching and matching? A: A Bluetooth connection is required for streaming and editing. WiFi or Cellular Data is used for cloud-based features such as accessing Tone Searching and Tone Matching. Although, you will be able to access editing and manage your device-stored presets while offline. Q: Will the AMPLIFi Remote 2.0 GUI look the same on an Android device as on iOS devices? A: AMPLIFi Remote has been developed natively for Android using Java, so there are some very subtle differences. Q: How will the AMPLIFi Remote 2.0 GUI scale onto the different size screens? A: We've designed it to adjust spacing and scaling for lots of various screen sizes and pixel depths.